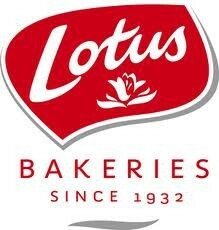 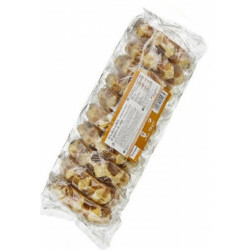 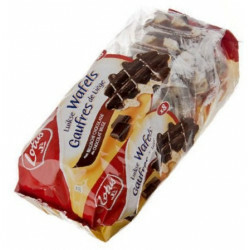 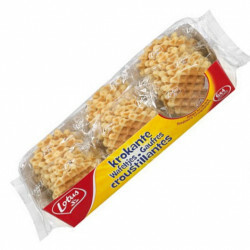 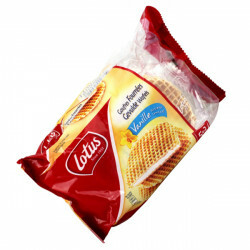 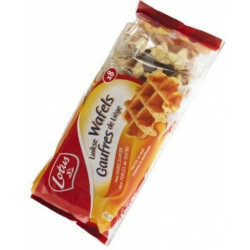 LOTUS Waffles CRISPY 6X4 216g - delivery worldwide - The Lotus Crispy Waffles are delicious and light. 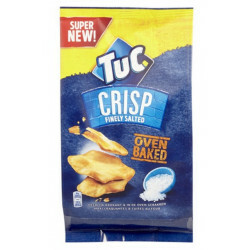 In addition, they always remain crisp as they are pre-packaged by 4. 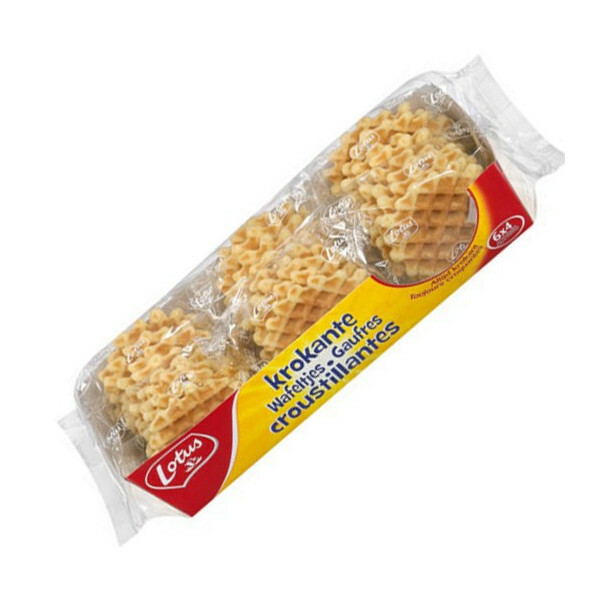 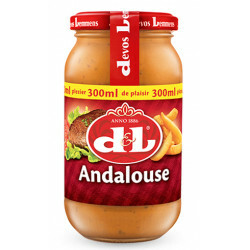 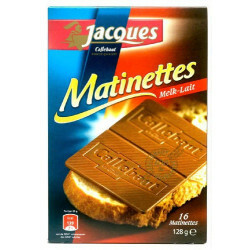 Ingredients: Wheat flour, sugar, vegetable oils (palm oil from certified and sustainable plantations, rapeseed oil), ground-raised chicken eggs, salt, aroma, emulsifier (soya lecithin).